Many years later Emma Frost hears about the disappearance of the little girl and learns that she is not the only one to have gone missing from Fanoe Island back in the nineties. As she digs deeper into the story, she soon finds herself entangled in a web of strange and very disturbing events. 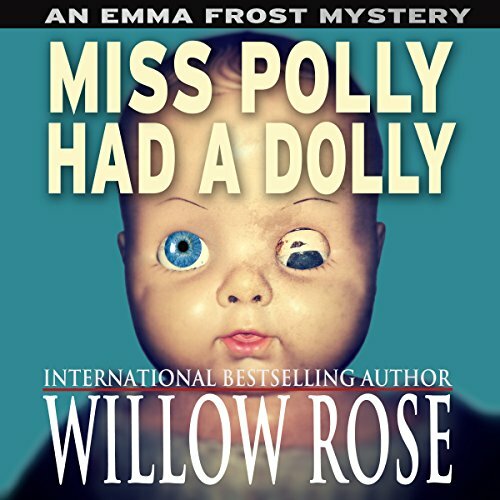 Miss Polly had a Dolly is a spine-chilling Scandinavian mystery novel from the Internationally Bestselling author Willow Rose. It is the second novel in her bestselling Emma Frost-series and is followed by Run, run as fast as you can. Yes, it contains all of the things a book of this genre should. When they describe about Patrick coming out. Have you listened to any of Sarah Feenah’s other performances before? How does this one compare? No, BUT she is amazing!!!!! Just made me want to listen more to Willow's books. I've started at the beginning with her books, and am going to read them in order. I'm really impressed so far. Yes, but I'd have to warn them that there'are some gruesome parts. Emma's involvement with her children and neighbor's chldren. Which character – as performed by Sarah Feenah – was your favorite? Emma was a good mother and friend. She was all about family but not much of an investigator. The scene with the child being raped and murdered was extremely disturbing. The narrator sounded like she was reading to a group of second graders. Story was good, though.